A brief history: Tea originated in China with the first record of consumption in 59BC, though it is believe to have been used earlier. Almost all tea comes from the Camellia senensis plant (white, green, oolong and black), the colours and flavours varying due to the different times of picking and processes such as fermentation. Rooibos however, is from the Aspalathus Linearis bush, native to south Africa. Chai is a mix of black tea and spices such as cinnamon, cardamom and ginger, while herbal teas can be made from flowers, herbs, and spices alone or mixed with tea. Europeans began tea idea of milk in tea. Me and Tea: I absolutely love tea. I couldn’t tell you when I started drinking it though. I just always have. 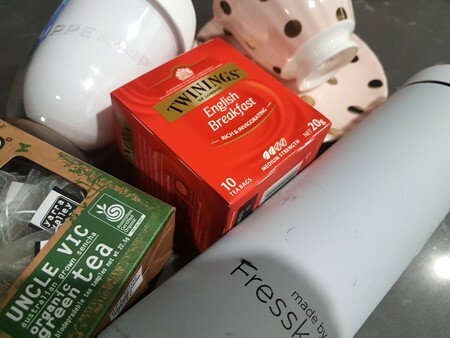 There is always a variety in my kitchen as well as plenty of tea cups and even a bottle for when I’m on the go. Below I’ll share my favourites and my must have accessories. English Breakfast – this is my absolute favourite. Twinings brand, 2 sugars and no milk. It’s sweet, comforting and always sitting next to the kettle. Green Tea – this is my go to when I’m after something hot but not strong. I find myself enjoying green tea in the morning, maybe because the flavour is subtle and fresh. My current favourite is Uncle Vic from Yarra Valley Tea Co. This is an Australian grown organic Sencha. With green tea, I find it better to spend more. Basic green tea bags are dry and very bland. Smaller brands have fresher tea, you can see the difference in the colour. Echinacea – essential for colds! I was living across from a health food store when I discovered this. It really does make you feel better. I don’t know if it’s the heat, the plant or both but it works. Chai – yes; with milk! I am so picky with my chai. Skinny Vanilla Chai. My go to cafe for this is Little Clive. They just get it right every time. I have 3 essentials for enjoying my tea. At home I always use a tea cup and saucer. I know I could during it out of any mug or cup but it’s feels a little more special in a pretty tea cup. Made by fresco tea infuser bottle. I love this for on the go because its keeps tea hot for up to 6 hours. Doubles as a water bottle keeping things cold for 12 hours. 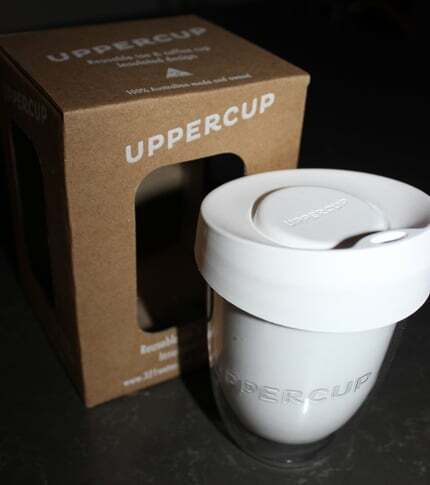 Uppercup reusable takeaway cup. This is strictly for chai! It’s the perfect size, insulated to keep my tea warm but because of the double wall I don’t burn my hand! Plus, no waste! For more information on my favourites, check out the following links! BrisCity Lifestyle is one of Brisbane’s top blogging websites that showcases local products, events and my own personal lifestyle.